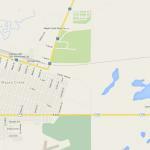 Physical Address: 1 mile east of Maple Creek, SK on Highway 724. 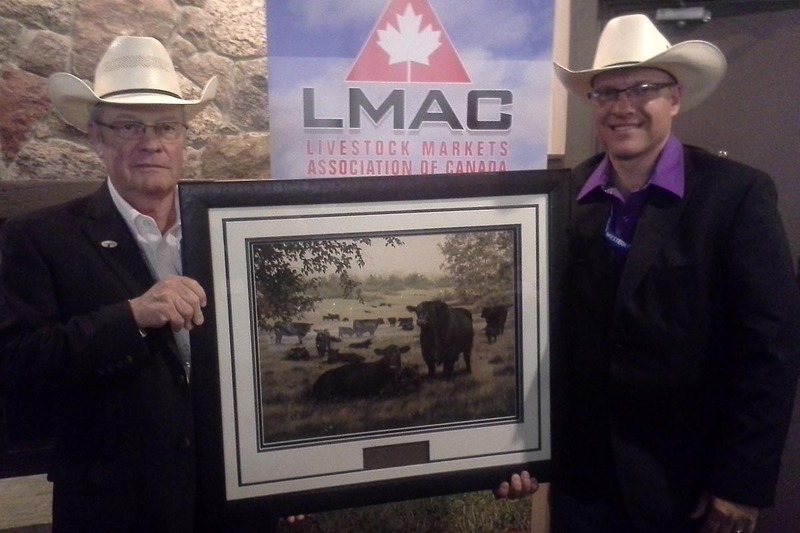 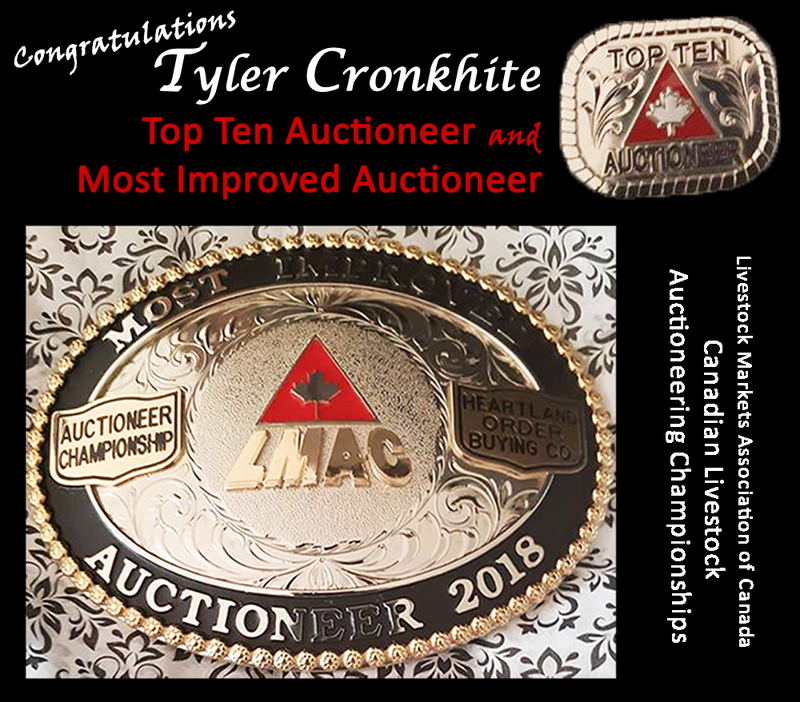 Tyler Cronkhite was honored to receive the Livestock Market of the Year Award on behalf of Cowtown Livestock Exchange Inc. 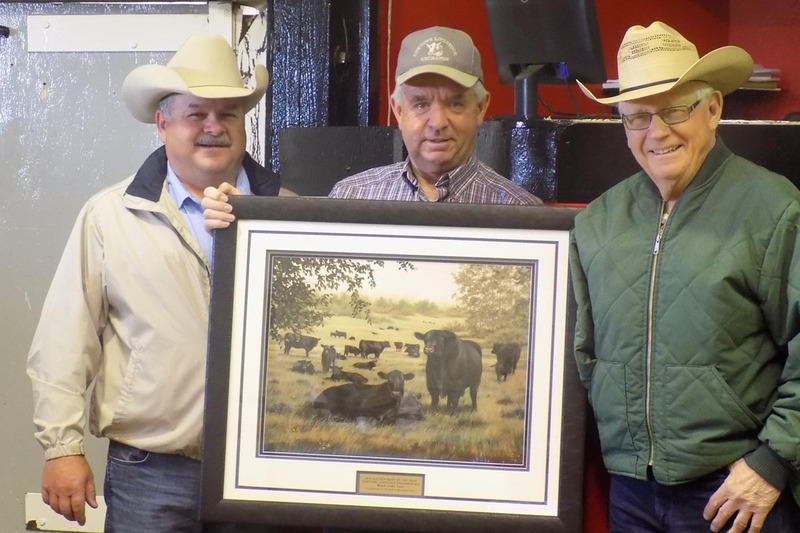 Presented by Brian Good of the Canadian Angus Association. 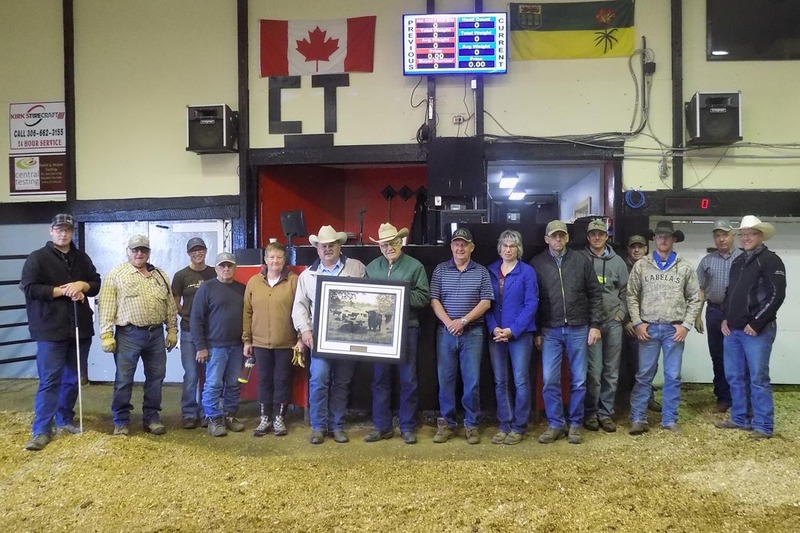 The owners of Cowtown Livestock Exchange Inc.